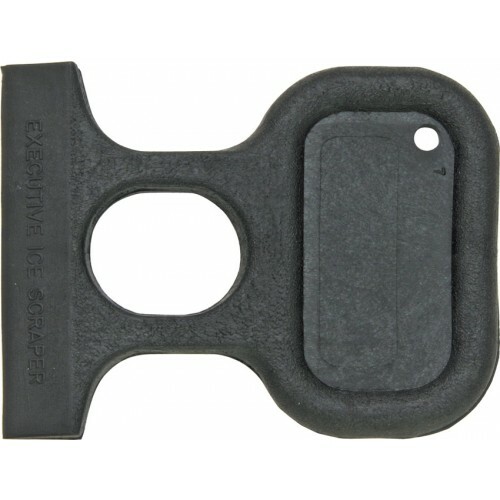 Durable one piece molded black fiberglass filled plastic construction. 3 1/2" overall with 2 5/8" scaper blade. Hold by inserting the middle finger in the hole, with rounded end in palm to make a fist. May be used as an ice scraper, key ring and ideal for a self-defense weapon. Bulk packed.